The journey of bringing a baby into the world is nothing short of miraculous. 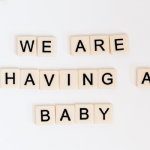 If you’re still pinching yourself or thinking “I can’t believe I’m growing a baby!” you’re not alone. It’s a feeling that most moms-to-be have at least a handful of times during the nine months. But there’s also another feeling that hits you when you’re in the home stretch of pregnancy. It’s the pregnancy expectations vs. reality. Those things that you haven’t been able to do and you just cannot wait to do again. You dream of them. You want to skip out on the rest of pregnancy you want normalcy so bad. Other moms-to-be name these as the things you can’t wait to do again after pregnancy. Sleep on your stomach again. If you’ve ever fantasized about cutting a hole in your mattress during pregnancy, this is surely something that excites you very much. Side sleeping can only do so much, amiright? Eat forbidden foods. You know how it is, you don’t even like sushi but as soon as someone tells you that it’s forbidden, you want it 24/7. It’s all you ever want. Safe to say that deli meat and sushi are your first foods after you give birth. You might even eat them at the same time. Having control of your bladder. Does this sound familiar? Just as soon as you stand you have to sit down and pee again. Is it normal to pee that much during pregnancy? The pressure is insane. And having control of your bladder again is just one of the things you can’t wait to do after pregnancy. It’s the little things. Regain balance. Is standing a balancing act that you always seem to be on the losing end of? Putting on socks and shoes by yourself is going to feel so glorious. Bend over without squatting. This one needs no further explanation. Relax in a hot tub. Hate to break it to you but you won’t have a lot of time for hot tub lounging with a newborn, but when the time comes mama is all in. Do Sunday brunch the right way. Is it really brunch if you didn’t have a mimosa? Trick question. After pregnancy, you’ll eat brunch like it’s the last supper. Spend time in the “danger zone.” Are you a roller coaster fan? Or feel the need for speed? Once you’re through pregnancy signing up for Nascar lessons while repeatedly riding roller coasters seems like a great idea. Drink all of the coffee. Tall. Grande. Venti. All of the above. Say good-bye to swollen hands and feet. You haven’t worn your rings in months and your feet look like sausages. You better believe you’ll be saying sayonara to the swollen hands and feet. Wine. Champagne. Vodka. Anything with alcohol. Is this one too obvious? Don’t answer that. It also couldn’t be more true. Mama needs a drink. Easily get out of bed without flailing. Getting out of bed while pregnant is like being a turtle stuck on its back. Need we say more?